If you're looking to order toner cartridges online you've come to the right place. Stinkyink.com was voted #1 for printer cartridges by Which? magazine in the UK. We sell both genuine toner cartridges and money saving compatible toner cartridges, it doesn't matter what you're looking for, we'll have the best toners available. We understand your business relies on a working printer, so to give you peace of mind we have a 12-month money-back guarantee on every toner cartridge we sell. All of our toners are fully chipped, new cartridges that will just drop into your printer and work, and in the unlikely event you're unhappy with your product you can choose between a replacement or full refund. Genuine toner cartridges are clearly marked with manufacturer logos across the website, so you'll always know what you're ordering, and with free delivery on all orders, excellent print quality and unbeatable value for money, it's no wonder Which? voted us #1. While we sell great value original toner cartridges, you'd be crazy to ignore our compatible and refilled toner cartridges. With a 99% satisfaction rate, our products were voted the best in the UK and save you huge amounts of money. But what makes them so good? To start with, we only sell toners that pass strict quality-testing, so those HP toners and Samsung toners you're buying went through countless tests before appearing on our website. These tests cover print quality, reliability and ease-of-installation, ensuring you get the best possible cartridge. We then monitor the performance constantly and, with a 12-month money back guarantee and free delivery, the whole experience is the best you can get. This is across every toner we sell, including top-selling Dell toners and Brother toners, so no matter your printer model you enjoy the same guarantee. I have always been able to get the products I've wanted, and at a very good price, especially brother branded toner cartridges. Delivery has been very efficient and dependable. Would recommend stinky.com to anyone. I'm really impressed with quality and clean printing with this original Brother cartridge, and think it's worth the extra. Great quick service too. I have been very impressed with both Dell original equipment and remanufactured items supplied by StinkyInk over the years. Good site, competitive prices and prompt delivery. Thank you. Installation was a breeze and the print quality is top notch on my HP laserjet 1200. Buy this instead of the useless cheap ebay rubbish. 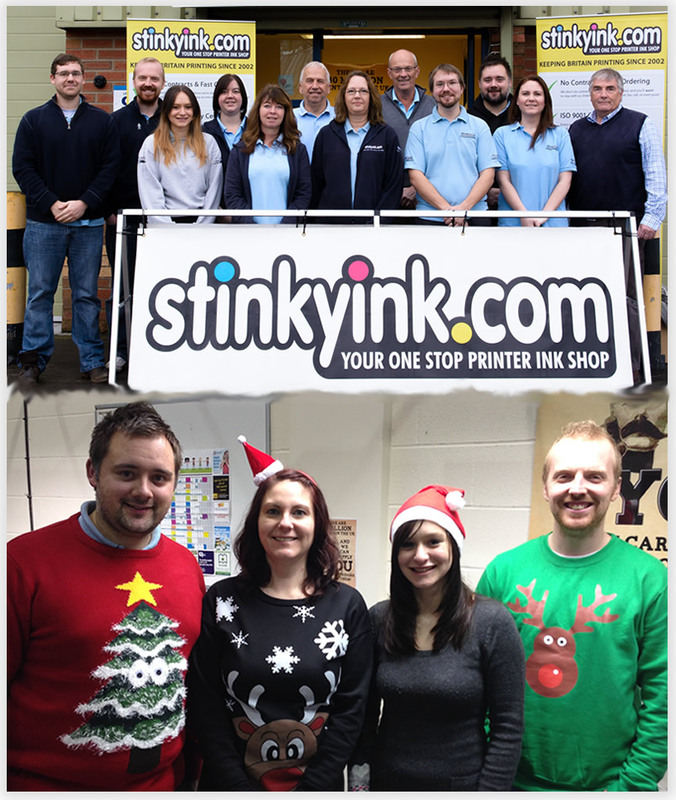 If you're researching new printers, or just taking a look at Stinkyink itself, then we'd love to lead you on a merry tour. We are much more than a company selling toner cartridges online, and can help you in any part of your printing. Our friendly team is here 9-5pm every working day to help with any queries and will treat you like one of the family; or as we call them, Stinkyink'ers! Why not apply for a 30-day credit account?